Sentiments like “There are no foreign lands. It is the traveller only who is foreign” - Robert Louis Stevenson, “Not all those who wander are lost” - J.R.R Tolkien and of course “The world is a book and those who do not travel read only one page” - St. Augustine. Some are memorable, some are not. Many are profound, many are not but it's fair to say that the vast majority highlight the transformative nature of travel, to see with new eyes, to find one's self, to learn, to tolerate, to grow and change for the better etc. and although the overuse of such expressions of these sentiments risk them being reduced to cliché status, indeed maybe even 'travel-quote kitsch', there's no denying that they serve to imbue the notion of travel with an inherent meaning or purpose - an unavoidable underlying truth; travel is transformative and ultimately a great thing to do...if one can do it of course. The particular quote I refer to at the opening of this piece reads “You can't buy happiness but you can buy a plane ticket and that's kind of the same thing”. Ok, so it's not particularly insightful in its travel = happiness message, but it struck me because it assumes that I can buy a plane ticket. At the moment, I cannot afford a plane ticket to anywhere but I am blessed that on occasion I can and do. For others though, the idea of being able to travel remains just that, an idea unlikely to be realised and for many of those people that is unfortunately due to adversity of some kind, be it financial, health, political or indeed familial misfortunes. 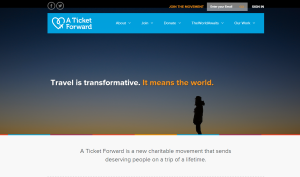 A new non-profit charity, A Ticket Forward, aims to help “survivors of abuse, cancer, and warfare transform their lives through the impact of meaningful travel...travel is not being delivered as a social good for those who can most benefit from its life building experience. A Ticket Forward is in a unique position to fill this gap”. It's the brainchild of one Toronto native, Jordan Axani. 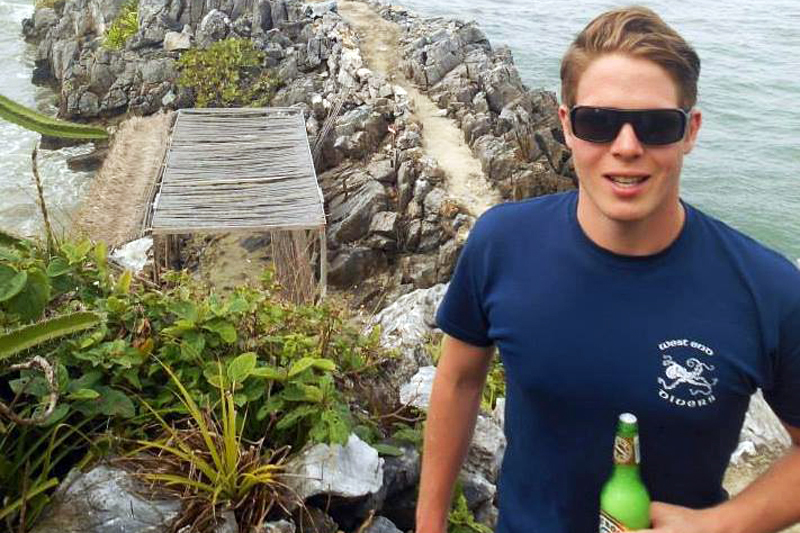 You may recognise that name from recent travel news articles as he recently reached out via Reddit for a travel companion, a stranger, to join him on an around the world trip of a lifetime - the only catch being that said companion would need to have the same name as his now ex-girlfriend, the plane ticket would otherwise have been wasted post break-up. He found a willing companion and that trip has since come and gone amid some media hype but out of that episode was born A Ticket Forward. According to the charity's website Axani was touched by the hundreds of letters and thousands of emails he received from complete strangers sharing their stories of strength, courage and the very human fear that they would never have the opportunity to travel and experience a world beyond their borders. They were all survivors having struggled through unimaginable hardships, some had won, some had lost and many were in the midst of battle but all were the people who, Axani felt, could benefit most from a travel experience. And so he pulled a team together to work with companies and brands, travel organizations, airlines and more in the hospitality industry as well as crowd funding initiatives to deliver life-changing travel experiences specific to each survivor's circumstances while the 'survivor' utilises the opportunity to share their story, experience, and courage in a kind of 'pay-it-forward' component of the experience. A noble cause and unique initiative with the real value of travel at its core, we wish the charity every success.